In 3-quart saucepan, heat broth and milk to boiling. Slowly stir in grits. Reduce heat; cover and cook 6 to 8 minutes, stirring occasionally, until thickened. Remove from heat. 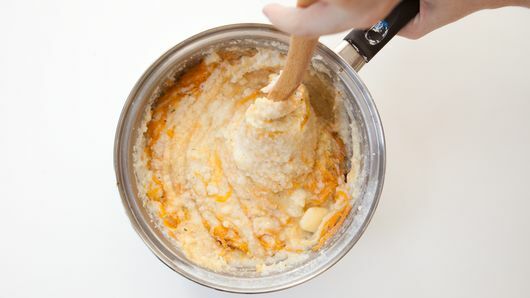 Stir in 1 1/2 cups of the cheese, the butter and seasoning mix until cheese and butter are melted. Stir in eggs. 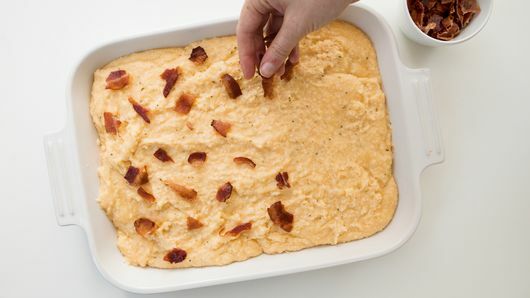 Pour mixture into baking dish; sprinkle with bacon. Bake 30 to 35 minutes or until center is set. Top with remaining 1/2 cup cheese. Let stand 3 to 5 minutes or until cheese is melted. Grits is another name for ground corn and can be bought in several grinds from coarse to fine. 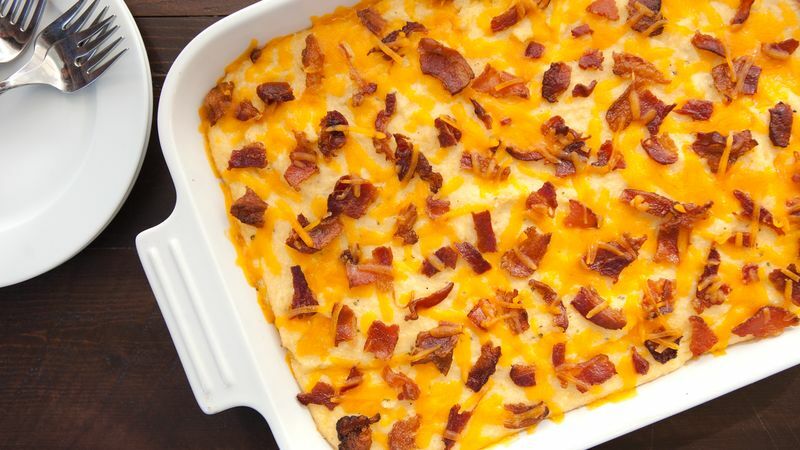 We used quick-cooking grits in this recipe. Add a little spice--try using shredded pepper Jack cheese in place of the Cheddar cheese.